​Victory at home to Huddersfield Town all but assured Crystal Palace of safety in the Premier League once again, and success at Newcastle this past Saturday confirmed it. However, for a club which is about to complete its sixth consecutive season in the top flight, is merely surviving enough anymore? With players such as Wilfried Zaha, Aaron Wan-Bissaka and Luka Milivojevic in the squad, as well as the ninth highest wage bill in the league, the south London club should really be performing better than they have done this season. When you look for the reasons why they have not performed as well as they should this year, ultimately you have to look at the man in charge, Roy Hodgson. 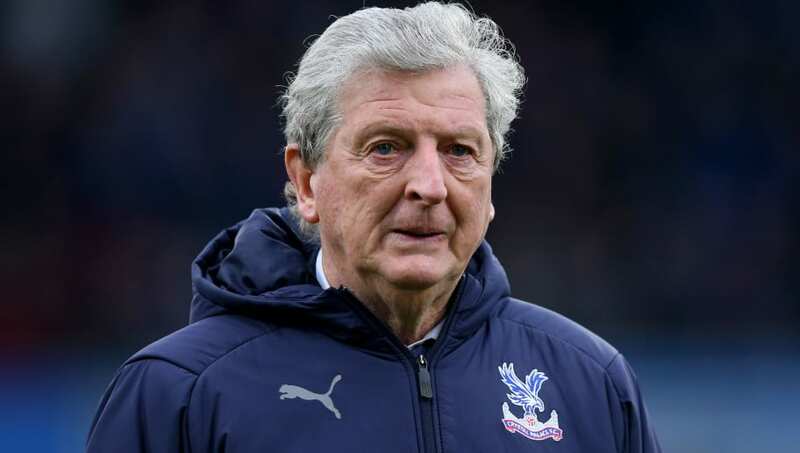 The former England boss did an outstanding job last season, guiding the club to an 11th place finish having started the campaign with seven straight defeats without scoring a goal, but that is the limit to what Hodgson can do. He is a fire-fighter. He, in much the same way as Sam Allardyce and Tony Pulis, virtually guarantees a club's survival with his diligent work on the training pitch and understanding of what is required to earn points in the Premier League. However, his style of play and ability to motivate his players appears to become stale over time, stopping the club from being able to progress. In much the same way that his calm, quiet demeanour works perfectly when trying to stabilise a club that is sliding towards the Championship, it does not seem to work so well for a club which is trying to look up the table instead of down. He is a manager known for his work on the training pitch but often what is discussed is how he drills his side defensively, constantly working on their shape and what to do without the ball. What never seems to be mentioned is the work he does on the side's attacking play and that appears to be because they do not do enough of it. The work he has done in the last 19 months means the Eagles can now be more of an attacking threat against the majority of top flight teams, not just sit back and look to hit them on the counter and that change in emphasis should be the next stage of their development. However, when Hodgson is the man in charge of a team which needs to be more proactive, the wheels tend to come off. England's abysmal performance in the 2-1 loss against Iceland in Euro 2016 was a perfect example of Hodgson's shortcomings as a manager. The team were bereft of ideas and never looked like breaking Iceland down, despite having the likes of Dele Alli, Harry Kane and Marcus Rashford in the squad. If owner Steve Parish and the rest of the Palace board want the club to move up the Premier League table and perhaps challenge in domestic cup competitions, then they need to bring in a manager who allows them to play in a more positive manner. Despite him still being very early in his managerial career and having had a tough first season with Derby County, Frank Lampard appears to be a perfect fit for the task at hand in south London. His Derby side play possession-based, open, expansive football which they have not seen at Selhurst Park for a number of years. They attempted to remedy that with the appointment of Frank de Boer and, while that turned out to be a disaster, it shows the long-term mindset of the club and how they want the team to start playing. Parish clearly wanted a major change in style on the pitch and, while they had to change their thinking last season to enable the club to stay in the top division, the superb work of Hodgson has given them a stronger foundation on which they can try and do the same thing again. The appointment of Lampard would seem to carry less risk than the Dutchman, with his greater knowledge of the English game and the 40-year-old also brings the calm personality that has been so important during Hodgson's stabilisation of the club. A forward-thinking appointment such as Lampard may also help Palace persuade the likes of Zaha and Wan-Bissaka that their future lies at Selhurst, as retaining the services of those two will be vital if they are to make sure they are not battling relegation again. If Palace are to move to the next level then they need to part with the man who has played a crucial role in enabling them to get there. It feels as though the time is right for everyone to move on and if they do, there should be nothing but goodwill between all parties.